We write as representatives of Syrian community organisations and concerned human rights organisations, to draw your attention to a recent briefing to MPs on the potentially catastrophic situation in Rukban camp on the border of Syria and Jordan. Since that briefing, a UN aid convoy from Damascus has managed to reach the camp with supplies. This was the first aid delivery since cross-border aid was delivered by crane across the Jordanian border in January. UN reliance on permissions from Damascus has been catastrophic for besieged civilians in so many Syrian towns and cities, and is agonising now for the inhabitants of Rukban, some of whom have died of medical neglect while awaiting UN aid. As you will know, Rukban camp is situated within the US-UK Coalition’s Tanf Deconfliction Zone around the Coalition base at Tanf, southern Syria. The base has been used by UK forces training anti-ISIS fighters, and the zone is militarily defended by the Royal Air Force. Relying on UN aid via Damascus is not a secure solution. UN convoys are only permitted to depart Damascus with facilitation letters signed by Assad regime officials. All such letters must be signed by Jamil Hassan, head of Air Force Intelligence, a man sanctioned by the UK and EU and subject to international arrest warrants issued by Germany and France for his part in the mass torture and killing of prisoners in Syria. We call on the UK Government and the UK’s American allies to recognise their duty to bring in aid into the area under their military control whenever other options for cross-line or cross-border aid delivery fail. We further call on the UK Government and the UK’s American allies to fulfil all their other duties to the civilian population, be they in the areas of education under Article 50 of Convention IV, health under Article 56, or any other duties of an occupying power. Thank you for your letter of 8 November to the Prime Minister regarding Syria. This has been passed to the Foreign Office for a response. I am replying as the Minister responsible for our relations with the Middle East and North Africa. The deteriorating humanitarian situation in Rukban has been a long running concern that the UK has closely followed and has been working to address. Like you, we are concerned that the humanitarian access to Rukban has been extremely constrained. The UK has continually pressed for unconditional, unimpeded and sustained access to Rukban to avoid humanitarian tragedy. In recent months, the UK has been pushing for the international facilitation of a UN led interagency convoy from Damascus to Rukban. You will be pleased to hear that following significant international discussions and lobbying, and the attainment of security assurances, the long-awaited aid convoy from Damascus entered the Rukban camp on 3 November. Consequently, in recent days, the UN and Syrian Arab Red Crescent have successfully delivered food, sanitation and hygiene supplies, and nutrition and health assistance, in addition to other core relief items; and an emergency vaccination campaign. This delivery constitutes a significant achievement, bringing aid to those who so desperately need it. However, the UK is acutely aware that a long-term access solution is required. We are urging all parties to ensure unconditional and sustained humanitarian access to Rukban that will enable regular aid deliveries to take place, as part of a wider push for sustained access throughout Syria. I am encouraged that, in the coming days, key delivery partners of the recent convoy are due to meet and explore options for ongoing access to Rukban. In addition to working for humanitarian access, the UK is funding water, sanitation and hygiene services that are providing life-saving water to the people in Rukban. The UK has contributed to the digging of a borehole and set up of a pump and tap-stands system, which is providing the equivalent of 20 litres of water per person per day. The UK is, also, supporting a medical clinic through our funding to UNICEF, who are providing nutrition screening, vaccinations and consultations to pregnant and breastfeeding women. The UK will continue to closely monitor the situation and access to the population in Rukban. I hope my response assures you that the UK is doing all it can to support vulnerable people in this terrible conflict, that we will explore opportunities to deliver aid to those in need, and continue to exert our influence upon others to do the same. The UK will continue to to all that we can to ensure that a long-term lasting solution is found to resolve the current crisis in Syria. And in the meantime, we will maintain all efforts to help those people affected by it. Thank you for your letter of 8 November to the Prime Minister and others regarding the humanitarian situation in Rukban camp, to which I am responding as Head of Syria Policy at the Department for International Development. The Government very much shares your concern at the dire humanitarian situation in Syria, including in Rukban where an estimated 50,000 people remain with limited access to vital medical facilities, medical supplies, and food due to the lack of sustained access provided to humanitarian actors. As such, in recent months, along with our international partners, the UK Government has continued to press the regime and its backers to facilitate the provision of unconditional and sustained humanitarian access to the camp in order to avoid a humanitarian tragedy. Last month we were pleased to finally see the delivery of aid to the camp through a successful interagency convoy from Damascus. This convoy provided food parcels, hygiene kits, plastic sheeting, and new-born baby kits as well as other vital assistance including an emergency vaccination programme for over 5,000 children. It also allowed the UN to carry out a needs assessment which is essential in informing the international humanitarian community of the specific ongoing needs within the camp. Whilst the convoy represented a significant achievement, as the first aid delivery to Rukban since January 2018, the Government remains acutely aware that it must not be viewed as a one-off event. We continue to work together with our international partners to push the regime and its allies to allow further, regular, aid convoys to access the camp as a matter of urgency. The UK continues to examine the most effective and efficient way of providing aid to hard to reach areas such as Rukban; currently, the best method is to provide such assistance by road through partners who understand the situation on the ground, and in coordination with other international donors. The UN, Red Cross Movement and NGO partners are best placed to deliver such aid given their considerable expertise and capacity to assess needs and deliver humanitarian assistance. 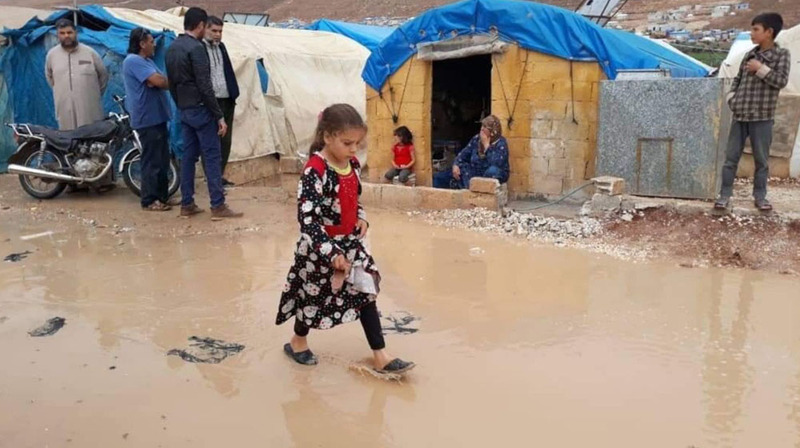 As well as extensive international lobbying, the UK Government funds UNICEF to provide life-saving water and medical assistance to Rukban camp residents. This includes contributing to the construction of a new water system and helping fund the UN clinic in Rukban to provide vaccinations; malnutrition screening; and consultations for children and pregnant women. Please be assured that the UK Government will continue to support those most acutely in need in areas such as Rukban, and advocate on the international stage for improved humanitarian access and protection of civilians from harm across Syria. We remain the second largest bilateral donor to the humanitarian response in Syria since 2011, committing over £2.7 billion in Syria and the wider region over that time, and continue to take a leading role in the international response to the crisis. 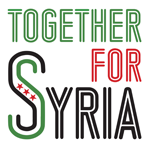 Together for Syria coordinates advocacy by several Syrian community groups across the UK. Read more about the organisations involved in this account of our 2015 event in London. • Why should we celebrate the Syrian Revolution? • Leaders Bombing Syria Are Ignoring Syrians. We Need Civilian Protection.